Physical exertion aside, many parallels can be drawn between eSports and its more traditional counterpart: fans pack out venues on a weekly basis to watch their teams play, top tournaments draw in millions of viewers, players practice almost constantly, and hours of analysis go into each specific match tactic. Indeed, the eSports industry has experienced a somewhat meteoric rise since its emergence at the turn of the century. Despite the lack of household names – Optic, of Call of Duty fame, are perhaps the most well-known eSports organisation – eSports has attracted plenty of interest in recent years due to its rapid growth (the industry has quintupled in value since 2010). Though interest in gaming has been widespread since the Pong and Space Invaders days, and tournaments began around the turn of the century, only recently has the industry developed a sustainable, organized, and most importantly lucrative professional scene. This is in no small part due to the sheer number of people engaging with eSports regularly, as in in 2018 the number of eSports viewers is projected to reach nearly 400 million. Photo credits: Fortune. In the biggest eSporting event worldwide – held in Katowice, Poland, once a year – participants compete for over $500,000 in cash prizes. From European football clubs such as Schalke and Fenerbahce, to NBA teams such as the Cleveland Cavaliers and the Golden State Warriors, eSports is all the rage for high-profile sports investors right now. Indeed, the identity of eSports investors is changing – whilst historically those that have a passing interest in eSports and money to spare, the industry is increasingly being viewed as a genuine opportunity base and thus drawing attention from a range of investors, most notably the sports industry. 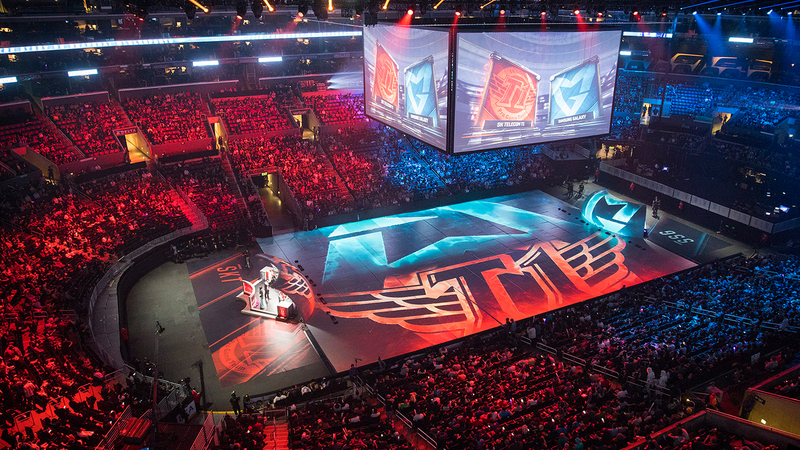 With a prize pool of 4.7 million dollars, over 100 million total viewers and a packed Birds Nest stadium for the final, the 2017 League of Legends World Championships was indubitably successful. Statistics such as these characterise League’s well-crafted professional scene, and much of what has made League a successful eSport can serve as a lesson for other budding titles. Photo credits: League of Legends. This is the League of Legends World Championships 4 years ago. It was viewed by 32 million people around the world. Firstly, the game is immensely successful in itself; in 2016 its owner Marc Merrill revealed it has over 100 million monthly players. The game, owned by Riot Games, is regularly updated in order to maintain balance and there is regular dialogue between Riot employees and the player base. This is typical of the community element of eSports: one of the primary attractions of competitive League of Legends as an eSports fan is the accessibility of professional gamers and on-screen personalities, whether it be through YouTube series or AMAs, one has the opportunity to develop an affinity with players that isn’t available in many mainstream sports. Secondly, League has recently taken several steps to reassure investors as to the security of their ventures. League has introduced franchising in their North American league, rewarding “stable, professional, well-funded and committed” organizations that are “committed to creating a rewarding environment for the pro players that work for them”, thus incentivising stability and players’ rights. Testament to this business model the league, organized by Riot Games, has recently attracted investments from the Cleveland Cavaliers, the Golden State Warriors, and the New York Yankees. Photo credits: The Guardian. Faker is the top Korean eSports League of Legends player. Overwatch, Blizzard’s newest release, has also attracted several large investments due to its more financially and legally secure league model that puts players and investors first. There is a clear improvement within the industry in terms of professionalization, and this has catalysed the inpouring of investments from traditional sports teams. Indeed, eSports continues to become increasingly similar to traditional sports: ESPN now has a dedicated eSports department and regularly televises eSports, The Player’s Tribune featured an article chronicling the rise of Doublelift, a prominent professional League player, Rolling Stone ran an article on the world’s most famous Overwatch player. Indeed, eSports, far from being localised to South Korea as it has been considered to be in the past, is now operating in mainstream channels, and as such large investors are becoming interested in its growth, injecting large amounts of money which one would usually associate with traditional sports. Whilst the debate rages on as to where eSports should locate itself in the sporting stratosphere, this will be of little worry to investors – if they understand how to create a quality eSports brand (perhaps in the style of former NBA player Rick Fox’s Echo Fox team) then there is significant potential in terms of sponsorship deals, merchandising, and advertising revenue. The industry is certainly progressing in the right direction, and if other games can follow the paths set by League and Overwatch, then the future’s bright. And full of RSI.